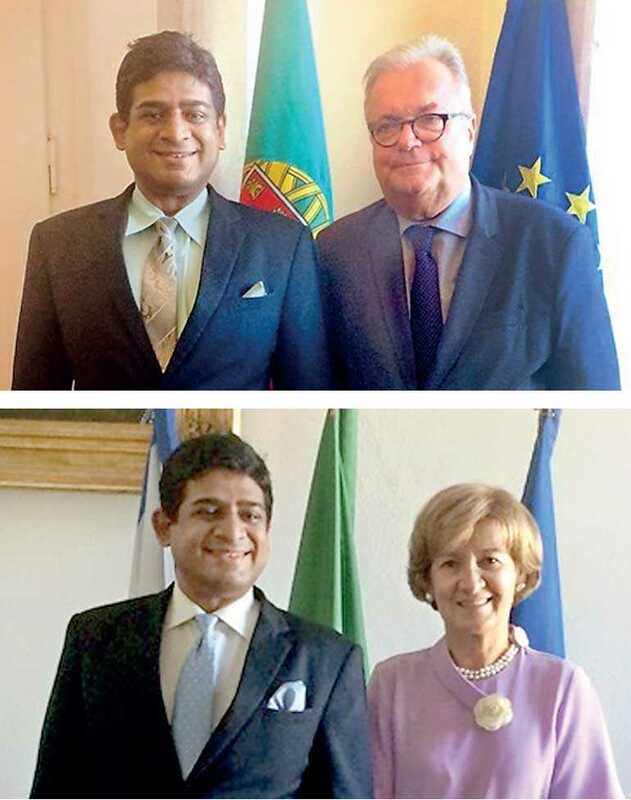 State Minister of Foreign Affairs Vasantha Senanayake paid an official visit to Portugal from 18-20 September, during which he met with Portugal State Secretary of Foreign Affairs and Cooperation Teresa Ribeiro. During the discussions, the State Minister highlighted the longstanding historical ties between Sri Lanka and Portugal, with special focus on the centuries-old shared history and heritage, exchange of knowledge, visitors and trading companies. State Minister Senanayake recalled the influence of Portuguese culture in Sri Lanka, especially the grandeur of Portuguese architecture in some of the coastal areas and the remnants of Portuguese intangible cultural heritage in language, music, dance, clothing and cuisine. It was observed that shared ties between Sri Lanka and Portugal would be a catalyst to attract Portuguese tourists to Sri Lanka. Both sides agreed to explore the potential for joint investment and partnership in the tourism sector. State Minister Senanayake proposed that Portuguese authorities may consider renovating the Fort of Mannar, which was originally built by the Portuguese in 1560. He suggested that the Fort of Mannar be renovated like the Dutch Fort in Galle, improving and preserving its monuments. The State Minister and the Portuguese Secretary of State also focused on sharing expertise in using renewable energy sources such as hydropower, wind and solar power. On inquiry by the Portuguese side about Sri Lanka’s journey towards achieving reconciliation, the State Minister acknowledged the support extended by the European Union in this regard, and emphasised on the need for continuous support. During the visit, State Minister Senanayake also met with the Minister of Culture of Portugal Luis Filipe de Castro Mendes, the Chairman of the Museu do Oriente (Museum of the Orient), and the Head of Instituto Camões, an institution established in 1992 for the worldwide promotion of the Portuguese language and culture. Third Secretary of the Sri Lanka Mission in Paris Damith Hewawickrama accompanied the State Minister during the visit.